As Waco's Top Professional Lawn, Landscape, & Tree Service Company, We are Dedicated to Building Trust with Our Customers! 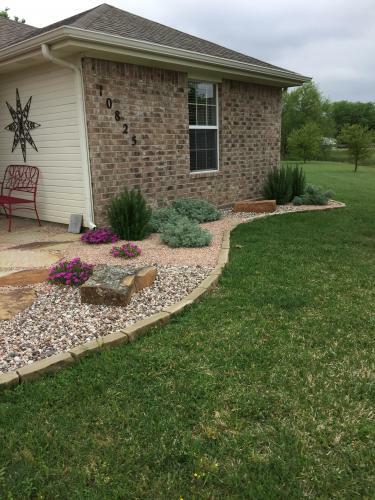 L&L Specialties LLC is a Fully Insured Lawn Service, Landscaping Service, and Tree Service Company, with a decade of experience serving Waco, TX and the surrounding areas. Our goal is to treat every job like its our own property, and we thrive on coming up common sense solutions for any issue the everyday home owner may face with their lawn, landscaping and trees, as well as offering professional high quality maintenance services. We are committed to building quality relationships and serving our community with integrity. We pride ourselves on being able to be able to handle big jobs and small. So if you have a large tree that needs to be removed, or you need a retaining wall built, or you just want your grass cut and some flowers planted, we've got you covered. See Our Services for More. Lawn Mowing Experts serving the Waco Texas area today. Don't let your lawn get out of control. Get on our regular lawn maintenance program and we'll come out as often as you need in order to keep your grass nice and groomed. You can schedule your service and make all your payments right online. Just go to our Online Booking page and get started today. With the amount of rain we have been getting this year we recommend having your lawn mowed at least once every other week and in some cases even weekly. Keep your neighbors happy and let us handle your lawn mowing needs so you can concentrate on other more important things like relaxing! 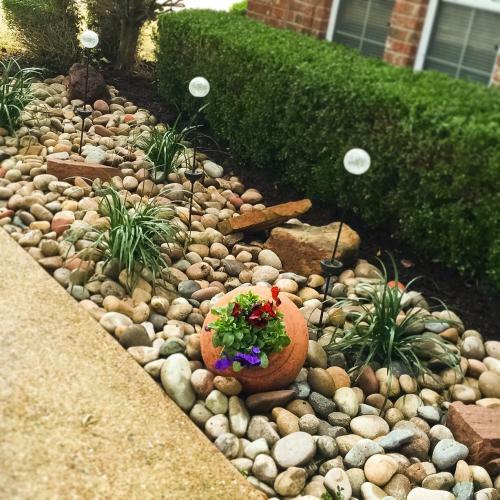 We have the best landscapers in Waco. 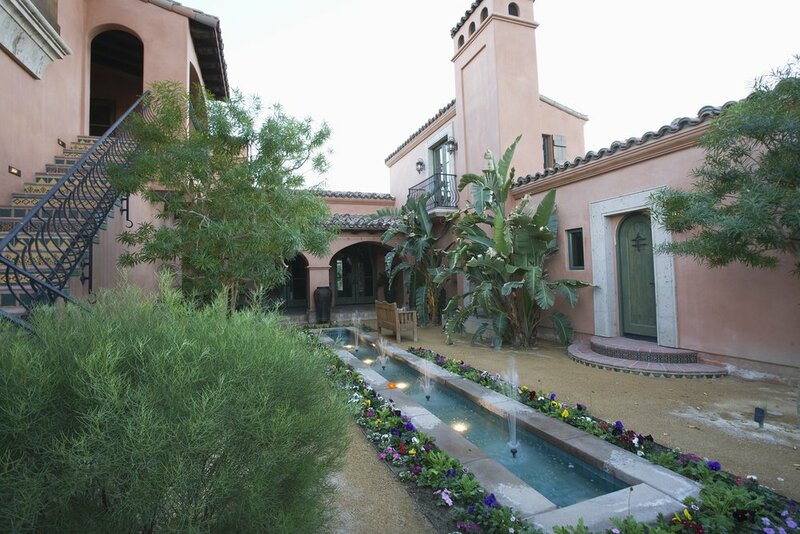 We provide residential landscaping solutions and commercial landscaping. We will make your property look amazing and you will look forward to coming home just to look at the incredible transformation that has taken place as a result of hiring L&L Specialties. L&L Specialties will also handle your larger hardscaping jobs. If you need a retaining wall built we will have one of our contractors come out and to give you an estimate, draw up plans, and start the construction process. 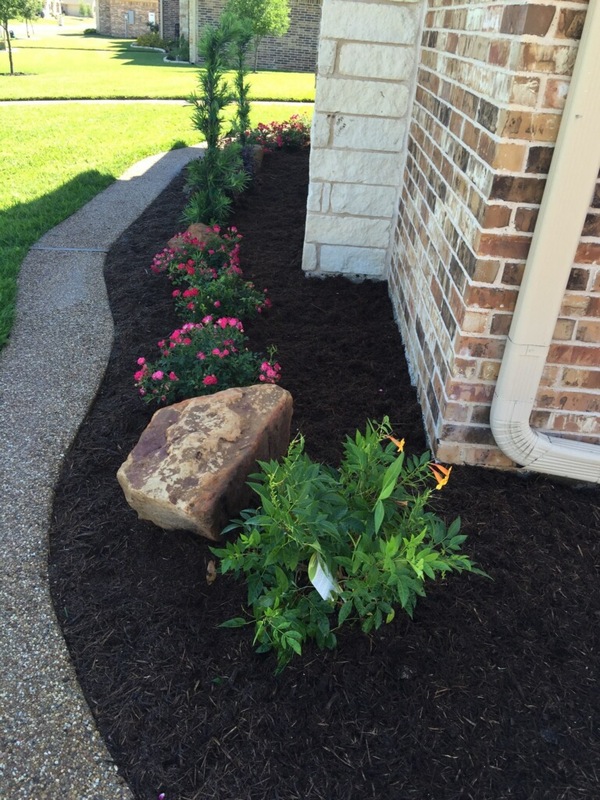 No job is too big nor too small when it comes to providing top notch landscaping service in Waco. L&L Specialties offers full tree services throughout Waco and the surrounding areas. We can handle small and big tree jobs. Our crews are experienced, insured, and professional. We offer tree removal, tree grinding, tree trimming, stump removal, stump grinding, site clearing, cabling and bracing of large trees, storm cleanup, and much more. If you have any questions concerning any tree service give us a call and we'll come out and give you a free tree estimate. Our prices are competitive and we will match any of our competitors and we're pretty sure we'll outmatch most of them with our prompt and professional service. Give us a call today. We have one of Waco's Top lawn mowing and trimming services. If you are looking to have someone come out to cut your grass and trim your bushes on a regular basis then you need to get online and book one of our lawn maintenance programs. Lawns thrive just like people when they are well taken care of. Getting on a weekly, bi-weekly, or monthly lawn care program will make your lawn grow so you can pull up to your house with pride in your eyes as you gaze upon a cut and manicured lawn that looks like it belongs on one of Waco's great golf courses instead in front of the house you've been in for 20 years. If you are serious about keeping your lawn nice and plush then you also need to consider getting on a regular fertilizing schedule. Your grass craves nutrients and nothing makes grass that deep healthy green like regular fertilizer. We use only the best fertilizers and our lawn care specialists can guide you in the finer points of nitrate rich food supplementing that your grass craves. Let's face it, here in Texas the weather is harsh. Whether it's the long hot periods that starve the green right out of our lovely yards or the never ending rains that seem to wash the topsoil away every other weekend, it's paramount that you supplement your yard's health with a good natural fertilizer. We always offer our Waco customers a free grass diagnostics. In order to determine whether or not you have a healthy lawn you need to have an expert take a look at it. Your grass can actually get sick just like you can from all sorts of fungi and turf patch diseases which attack grass root systems and render your once magnificent yard grey and dry. Once we figure what's actually going on with your grass or if there is even anything going on, we will let you know and give you our best assessment for treatment. We will look at the site conditions, types of grass and other flora that you have on your property, and the prospective weather conditions and give you the absolute best most accurate treatment plan available. Of course another main component to a healthy vibrant yard is water. If you don't have an irrigation system in place we will come out, give you an accurate estimate and then install one of our top of the line underground sprinkler systems that conserves water through its accurate dispersal that delivers water where your plants need it. If you have an already existing sprinkler system that needs servicing we will check it for proper water pressure, clear and replace any lines which may be damaged, and make sure that you've got the proper mechanisms all in the right places and in good working order. Sure there will be seasons where you won't even think about turning on your sprinklers but those rarely last more than one or two years. Before you know it you'll be wanting to water your thirsty plants every day. Won't it be good to know that you could if you really wanted to? 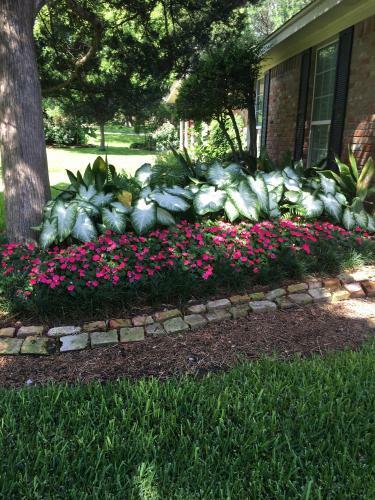 If you are looking for a good Waco Landscape Designer then you've found the right company. Not only is our staff highly talented but they are known for bringing the vision of the homeowner to life. We work directly with you and bring our vast experience to bare so that you can have the dream landscape that you've always wanted. We can work with any budget and in those rare cases that we simply can't meet the clients demand, we let them know how and why we can't. Let's face it, sometimes even we can't create a chocolate waterfall that will attract actual unicorns to its bounty. We'll give it a try though, you never know! Let's face it, you've got to keep your bushes trimmed and hedged. It's just one of those things that can go unnoticed until you look back at some old pictures from years ago when you last trimmed them. The nice lines and uniformity of those branches really do make a different to the eyes. 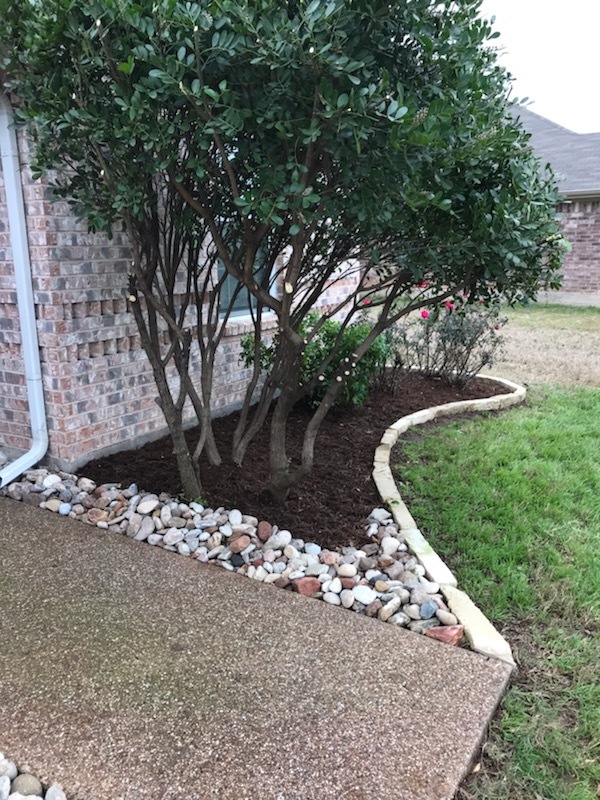 As part of our regular Waco lawn care program we include trimming, and hedging of all your smaller trees and bushes that line your house. We also will edge where your lawn and hardscaping areas meet. It's all about the lines and when you combine that with the other features of our lawn care recurring program, you will wonder why you didn't do it sooner. Our Waco commercial landscaping services are known for keeping your property looking clean, professional, and inviting. 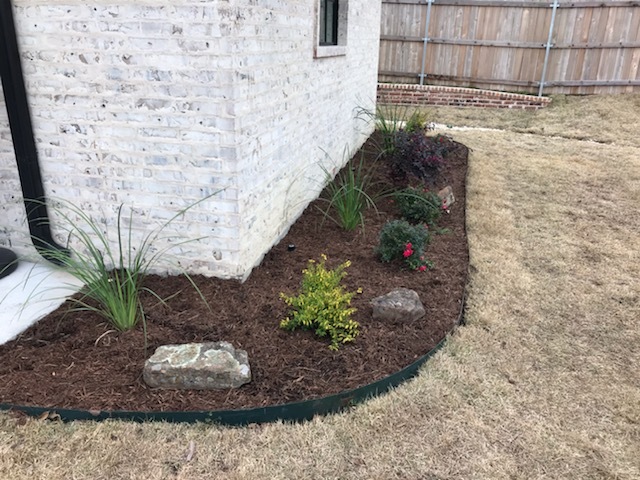 We offer low maintenance yet attractive plant material, grading, irrigation, bush and tree planting and relocation, lighting, hardscape installation, proper draining, sod installation, and overall maintenance with our normal mowing, trimming, and edging schedule. We work within you budget and just like our residential services we work to make your property unique and beautiful. We are fully insured and use only the best suppliers and top quality planting materials. We even offer setting up watering managing programs to make sure that you conserve water to both comply with any current restrictions as well as to make sure your water is distributed appropriately and conservatively so you can keep your utility usage in check. L&L Specialties LLC is also known as one of Waco's best tree service and tree removal companies around. We are equipped to handle any tree job that you need, big or small. Our crews are used to removing and clearing large sites for commercial uses and smaller trees that may have fallen in a recent storm. As with most tree service jobs, the costs can be complex based upon the type and size of the tree, the complexities involved in removing the tree and/or the stump, roots, etc. Is the tree close to power lines, does it have to be cut or mulched, and what type of equipment is needed to safely do the job. We offer tree grinding, stump grinding, branch cutting, cabling and bracing, tree removal, stump removal, storm cleanup, and every other type of tree service that you can imagine. If you are uncertain what type of tree service you need or if you want us to come by and give you a free estimate just click the button at the bottom of this page and one of our professionals will come out and take a look.